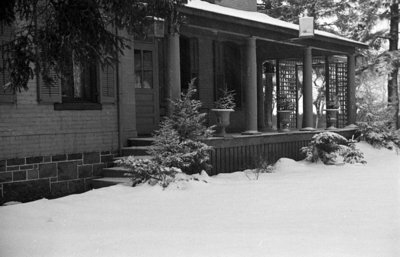 View is of the front porch of the Spruce Villa Hotel at 734 Dundas Street West in winter. Spruce Villa, 1936, Marjorie Ruddy. Whitby Archives A2013_040_014E.